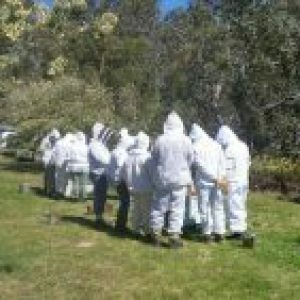 Swarm Collection | Southern Beekeepers Association Inc. Note 1. Karla Williams, State Apiary Officer, has asked that anyone collecting a swarm from within 2km of the Hobart port, keep a cupful of bees for her to test for pest incursion, and contact her. Note 2. We are now distinguishing between SWARMS of bees, in the open air, and NESTS of bees, where a colony of bees has taken up residence in a closed space (e.g. wall cavity, eaves, compost bin, chimney, bird nesting box, tree …) These two need different collection methods, nests generally being the more difficult, hence we have separate lists of beekeepers who can collect them. Members who would like (a) their name added to this list, (b) their details changed, or (c) their name removed from the list, please contact the Secretary.